Special clinical interests in upper gastrointestinal and gynaecological tumours. Andrew trained initially in Liverpool in the UK and obtained his membership of the College of Physicians (UK) in 1998. 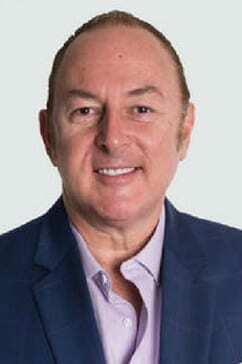 After immigrating to Australia, he continued his training in internal medicine and palliative care at Sir Charles Gairdner Hospital in Perth and Royal Prince Alfred Hospital in Sydney, becoming a fellow of the Royal Australian College of Physicians in 1993. On returning to Perth, Andrew established the palliative care service at Sir Charles Gairdner Hospital (SCGH) and St John of God Hospital (SJOG) Subiaco, and was appointed professor of palliative medicine by the University of Western Australia. In 2001, having recognised a gap in healthcare information, Andrew established a quality health information website, as a resource for patients, their families and allied health professionals. Together with a host of IT initiative awards, his efforts were recognized by the 2004 Prime Minister’s Award for excellence in community business partnerships for Western Australia. Through this website, Andrew was able to sponsor a scholarship for two medical students to attend a cancer elective in Lund (Sweden) for a number of years. Driven by his passion to help patients with life-threatening illnesses, Andrew furthered his training in medical oncology and began working full-time as a medical oncologist in 2006, initially at SCGH and SJOG. He is currently the head of the Department of Medical Oncology at SJOG Subiaco and, at GenesisCare in Joondalup, provides patients in Perth’s northern suburbs access to care closer to home. Andrew is a member of the American Society of Clinical Oncology (ASCO), the Medical Oncology Group of Australia (MOGA), the Royal Australian College of Physicians (RACP), the Australian Medical Association (AMA), and the Australia New Zealand Gynaecological Oncology Group (ANZGOG). While providing treatment across all adult solid tumours, Andrew’s key areas of interest are upper gastrointestinal and gynaecological tumours. He has published articles on symptom control, novel therapies for ovarian cancer, pancreatic cancer and the molecular profiling of solid tumours. He regularly participates in international clinical trials and continues to be a major contributor to pancreatic, lung and ovarian cancer studies.